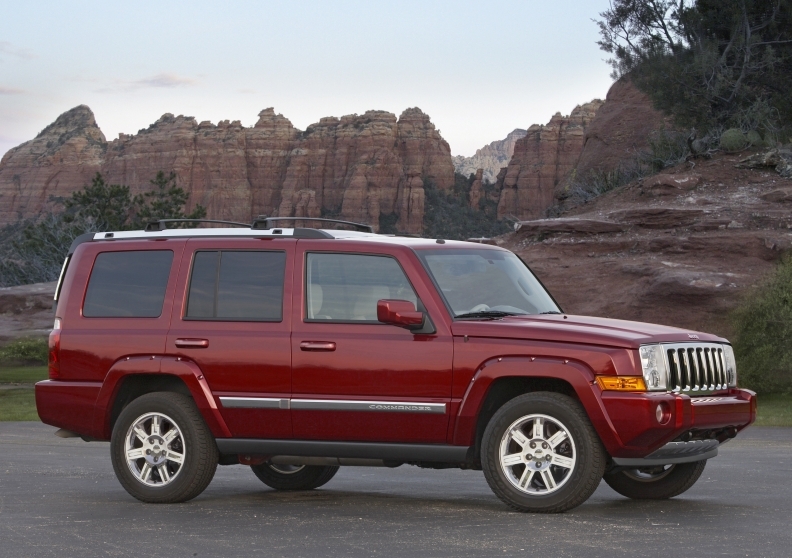 The seven-passenger Jeep Commander failed to attract a wide range of buyers because the third-seat area was cramped. CHICAGO -- Jeep will move upmarket in the 2014 model year and target the Cadillac Escalade, Mercedes-Benz GL and other luxury SUVs with its largest and most expensive Jeep, the Grand Wagoneer. The seven-passenger vehicle will share a platform with the Grand Cherokee. But unlike Jeep's previous seven-seater, the Commander, the wheelbase and rear overhang will be stretched to make the Grand Wagoneer's second- and third-row seating more comfortable. The Grand Cherokee is a five-passenger vehicle. Jeep CEO Michael Manley said that in comparison "to the Escalade and others, the Grand Wagoneer will be very competitive." Manley said the redesigned 2011 Grand Cherokee "is appealing to people who we have not seen in our showrooms for some time. It has been well-received by customers shopping at the upper end of the full-sized segment." Jeep sold 84,635 Grand Cherokees last year, up 68 percent from 2009. Sales in January totaled 7,612, a 130 percent increase over January 2010. But buyers of luxury SUVs tend to prefer seven-passenger seating, Manley said. "With Grand Wagoneer we can continue to build on [Grand Cherokee's] momentum with a proper three row, seven-seater. That is where the real opportunity lies," he said in an interview at the Chicago Auto Show. In terms of pricing, Manley said the Grand Wagoneer "will sit on top of Grand Cherokee. There may be some overlap at the top of Grand Cherokee range and the bottom of the Grand Wagoneer." The top-of-the-line 2011 Grand Cherokee Overland Summit has a $43,275 sticker price, including destination. The Commander offered seven-passenger seating but was dropped last March because of poor sales. "It was a seven-passenger vehicle, but if you looked at the overall accommodations it was quite cramped in the back," Manley said. "It was compromised compared to what our vision is for the new Grand Wagoneer."